The big question – is social media right for us? There is a growing number of social media networks out there and although they are all good, depending on your business focus and most importantly your time, you are better off to concentrate your efforts on one or two, and for the very keen, all three of the key players and then expand when or if time and/ or budget allows. For small B2B businesses that do not have a dedicated social media person or consultant, I have decided to focus on the three major networking sites that have the greatest voices: Twitter, Facebook, and LinkedIn and I will also touch on Google+ and Pinterest – two other prominent names you may have heard about in social networking. What is the difference and which one should I explore first? Facebook: I recommend starting with Facebook as it is the largest with over 900 million active users, more than half of them using Facebook on a mobile device. Most of us are familiar with this site so it’s a natural to use your knowledge to move into the business side of this site. When it was first launched it was a social networking service with a focus on personal relationships. It is a great place to connect with friends, old school mates, family and much more. 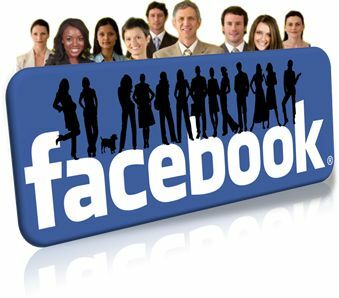 However, since the launch of Facebook for Business, Facebook has now become a place to connect for business. We have all seen and heard advertising for B2C companies’ Facebook sites, but if done right, it can also be a rewarding networking site for B2B businesses as well. There are some great analytics available on this site, but to take full advantage of them, you’ll need to have a minimum of 30 ‘Likes’. This number might sound low, but small B2B businesses may have a difficult time getting to this number. There are several techniques one can use to gain “likes” and I will discuss this in a future blog. LinkedIn: LinkedIn is in my second spot because as a business professional you may have already been exposed to or even have a profile on this site. Moving to the next step of business pages should be fairly painless. 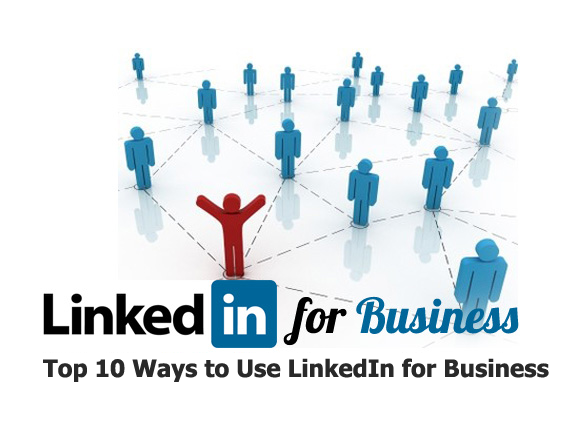 LinkedIn is a professional social networking website which is mainly used for professional networking. LinkedIn reports more than 150 million registered users in more than 200 countries and territories. This is where you can connect with your business connections as well as their connections. Advanced searches will map your route, via your connections, to both companies and key executives that you may wish to engage with. If your contacts change jobs or positions, you will be alerted which allows you to keep up to date on all the happenings. Your profile becomes your online resume (expertise) complete with special skills and recommendations from others. Yes, LinkedIn also has pages for your company and a place to promote your events, advertise and join discussions and groups. A LinkedIn company page gets listed in Google’s and LinkedIn’s search engines, allows others to follow your company’s updates, and gives you a place to promote services and products. On your profile you need to have an email address listed with your company domain. You cannot set up a company page using free email services like yahoo, gmail or hotmail. Twitter: I have left Twitter to the end because it requires the most amount of time and commitment from you. Twitter is an online social networking service and microblogging service that enables its users to send and read text-based posts of up to 140 characters, known as “tweets”. It was created by Jack Dorsey and launched in July 2006. The service rapidly gained worldwide popularity, with over 500 million users as of 2012. No other network has the ability to distribute information to so many in so short a time. Tweet frequently and regularly. If all you can afford in terms of time is a tweet once a week, then this network is not a good fit for your business. 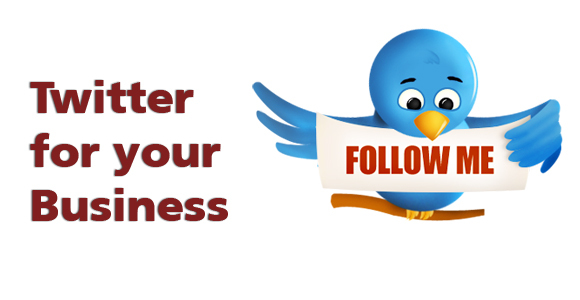 There are many opportunities to follow people, but what you want is followers so your voice will be heard. So clearly define your tweet personality and define the parameters. Your network of other business owners and decision-makers do not want to hear about the dinner you had last night, but they might want to hear about a tip of insight that can help them in their business. A tweet is only 140 characters long, so you need to write precisely and concisely to get your personality and information communicated. Stay true to the goal to share your message, drive people to your website, and discover new and interesting people, companies, and news. If you have the time and interest, these two sites are growing in users and popularity. Here is a brief overview for your consideration. Google+: Google+ is freewheeling like Twitter and yet conversational like Facebook. It makes it very easy to arrange your contacts into lists, which they call circles and you can post (share) specific updates to one or more circles. 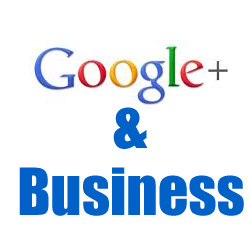 Google+ has 250 million plus users and is well indexed by Google searches, so it might be a site worth considering. 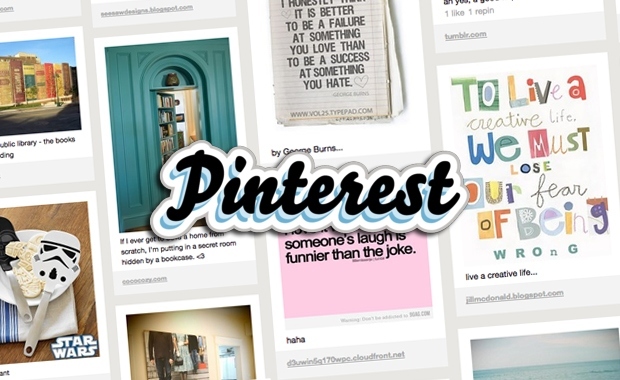 Pinterest: Pinterest is a pinboard-style social photo sharing website that is quickly gaining speed. It allows users to create and manage theme-based image collections such as events, interests, hobbies, and more. Users can browse other pinboards for inspiration, ‘re-pin’ images to their own collections and/or ‘like’ photos. Pinterest is not only a great visual representation of your business; it also has the extra bonus of having SEO value. This is another site you might consider, depending on your business goals and objectives. So which of these are you willing to try? Which ones do you want to explore further? Leave me a comment or send me an email to let me know if this blog was helpful in demystifying the social networking sites and giving you some quick tips to get started. Ahh, rebranding. So much is talked about on this topic, but sometimes the proof is in the pudding or in this case, the proof is in the case study. IT (FIT) had been in the IT business for over a decade. Their original focus had been providing IT solutions as well as a variety of other IT-related services like website design and hosting. Based on customer needs, they changed their focus to technology management for a specific target audience – small businesses. FIT needed a brand name and branding to reflect this new direction. FIT had to differentiate itself from its competitors. But the FIT name and brand attributes – including the company name and brand slogan “Make IT work” – no longer seemed appropriate. The brand did not ‘speak’ to their audience or communicate what they specifically do. We worked with them to investigate how the brand might address the company’s new direction of becoming a technology management resource for small businesses. In addition to research on industry best practices, a comparative analysis was conducted on their competition. Potential new company names were tested with their customers, and discussions with customers, management, and employees were analyzed in depth by the Creativeworks team. Based on the competitive research, as well as best practices and Creativeworks’ marketing experience, we recommended that the “new FIT brand” feature an advisor in its core message. An advisor sentiment communicates to customers that this company is more than an expert; they can solve customer concerns on a specific topic, which in this case was coupled with technology management. At the time, there was no other IT service provider that focused on trust as a unique angle, or was known as being an advisor to small businesses. In this industry, these were identified as ideal and strong differentiators. Facilitate IT changed its name to IT Business Advisors and a strong tagline was added: “Your trusted technology management team”. This further defined and positioned their brand. Firstly, rebranding is also about change: change of mindset for owners, management, employees and customers so including them in the process, even minimally, is key to its adoption and success. Secondly, when rebranding, continually check your process by asking: Does it deliver an accurate perception of their identity? Does it improve customer confidence in their business? Does it increase their profile? Will it help enhance their competitive advantage? Lastly, rebranding is not about new colours, websites or even a new logo (although that is part of implementing the rebrand), it’s about creating a company message that employees and customers understand and can rally around. Have any branding stories you’d like to share? I’d be interested in hearing from you. Is Social Media Really Right for your Small Business? Social networking is helping mid to small businesses grow by increasing their brand awareness and ultimately improving their revenues. Social media is right for your business. Make a minimum commitment of a year to social media. It takes a while to see results from social networking, particularly if you are selling services vs. products. So give it some time and be persistent and patient. Establish your social media goals. Be clear about what you hope to achieve by engaging in active social networking. Make sure these are realistic goals. In other words, don’t expect a 25% increase in revenue in the first week! Develop a social media strategy and seek help if you don’t know where to start. Like all other marketing efforts, your social media must also have a strategy. The plan should include the 5 “W”s, including which platforms, frequency of posts, resources and responsibilities. Appoint a social media person to be accountable for either writing the content or flagging internal stories or news items as possible posts. This can be an internal person or an external resource who understands your brand, your goals and the tone of your company. This social media resource will be held responsible for driving continuous and accurate content to your sites as well as engaging in conversations and investigating new avenues within social media platforms to get your voice heard. Track and measure your social media sites. Just tracking the “likes” and “followers” is not enough. Every social media platform offers some analytics; make sure you are getting regular and in-depth information on each site and have a resource that can help you decipher the results. Let the stats and my tips guide you as you begin your journey with one of the most cost-effective and useful forms of advertising that exists today.